Posted this morning on Maddow blog this new chart which includes information from an NBC/Wall Street Journal poll. Exactly 40 years ago today, the U.S. Supreme Court issued its Roe v. Wade ruling. In a 7-2 decision, the court majority decided that Americans have a constitutional right to privacy, which includes being able to terminate an unwanted pregnancy. I think that the Republican efforts to curtail abortion, to close clinics and to subject women who want to terminate an unwanted pregnancy are having an opposite effect than the one they want. Kinda like voter suppression which just made people angry enough to stand in line for hours. The high level of support for Roe comes with some underlying issues that we need to work on. 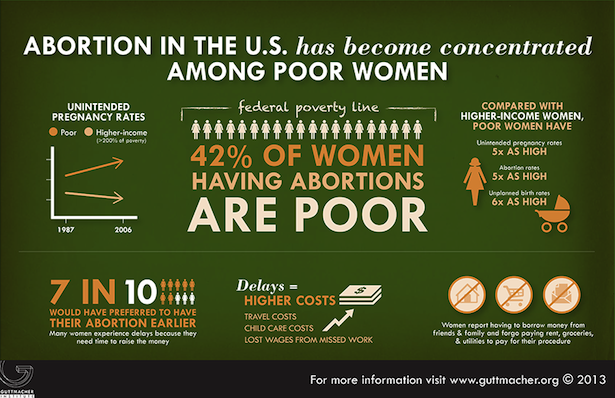 Bryce Covert just posted some interesting charts at the Nation about the economics of having an abortion. 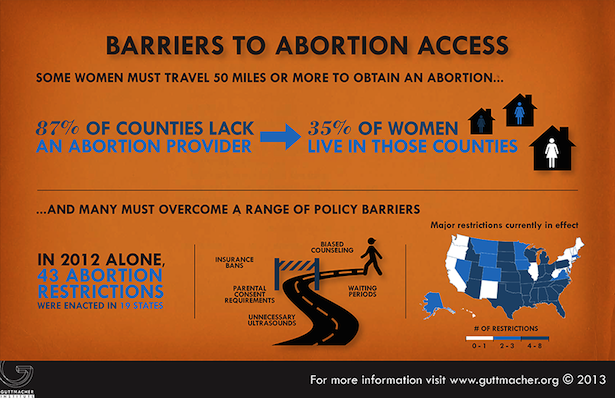 The charts come from the Guttmacher Institute. Here are two. The support for keeping Roe has been steadily increasing. Now we have to figure out how to implement the decision so it means something. This entry was posted in Public Policy, Women's Rights and tagged Abortion Rights, Health Care, Politics, Rachel Maddow, Republicans, Roe v. Wade, Women's Rights. Bookmark the permalink.